Paul Hennessy claimed a third Irish Oaks on Saturday when Jaytee Jordan gained an all-the-way victory in the Sporting Press-sponsored Classic at Shelbourne Park. Meanwhile, Peter Cronin secured a third English Derby final spot when the Larry O’Shea-owned Whoops Jack gained a thrilling victory in the second semi-final at Towcester. Previously successful with April Surprise and Locnamon Bridie, Hennessy only bought the winner two weeks ago from Anthony Rooney and John Turner re-named her Jaytee Jordan. She flew out of trap two and led all the way when holding the powerful late challenge of Droopys Loom by three parts of a length in 28.47. Ballinakil Clare finished three and a half lengths back in third. Whoops Jack was fast away in the Towcester contest and led Wildfire Legend. Dorotas Wildcat moved second at halfway and looked set for victory but Whoops Jack rallied for a short-head margin in 29.18. Pat Buckley’s Borna Gin was very unlucky in the first semi where he disputed to the bend with Droopys Verve ahead of Rising Brandy. But Borna Gin was clipped from behind by Rising Brandy and they were badly baulked. Droopys Verve went on to win by more than four lengths from Bombers Bullet in 28.91. The final draw will be made on Wednesday. 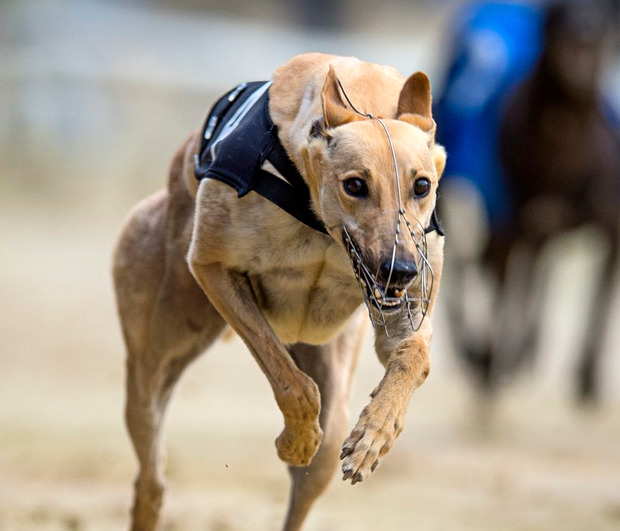 Declan Byrne’s Crohane Ronnie won the Golden Muzzle final 550 at Limerick where he broke fast and held off the Derby champion Good News by a length in 29.94.